The Baroque theme of this study day was inspired by the National Gallery exhibition Beyond Caravaggio, which ran during autumn 2016. The event celebrated the wealth of Baroque art that exists in museums and galleries in the UK and Ireland, exceptional examples of which were brought together in the exhibition to illustrate the international artistic phenomenon known as Caravaggism. It was also a chance to discuss the work and practice of Baroque artists working in Britain in the sixteenth and early seventeenth centuries. The study day commenced with a rare opportunity to view Orazio Gentileschi’s ceiling paintings, originally made for the Queen’s House in Greenwich, now installed at Marlborough House (which today houses the Commonwealth Secretariat). 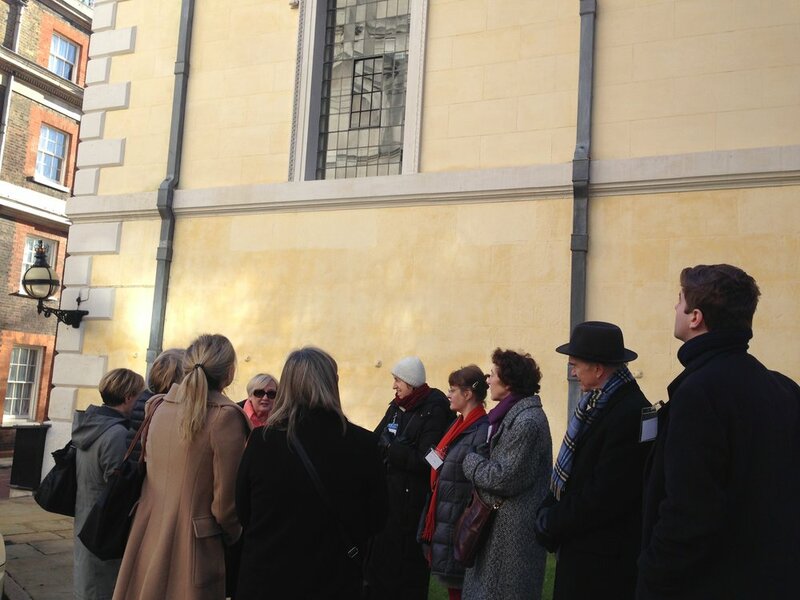 The group was given a private tour of Marlborough House before returning to the National Gallery for lunch. In the afternoon, Letizia Treves, Curator of Italian Painting 1600-1800 at the National Gallery, and curator of the exhibition, introduced the themes of Beyond Caravaggio and discussed the artist’s revolutionary style and powerful storytelling techniques. Letizia also explained how the exhibition came together, describing her travels around the UK through which she was able to work with museums, galleries, National Trust properties and private collections to showcase the scope of Caravaggio’s influence and bring less well-known works into the public eye. Art historian Maria Cristina Terzaghi spoke in detail about Orazio and Artemisia Gentileschi’s work in Britain and posed a new perspective on the role played by Artemisia in the creation of the Queen’s House ceiling paintings. Following a discussion session on the problems of attribution of Baroque works, and the future of the Gentileschi ceiling paintings, the group proceeded to a viewing of the exhibition. Read further here about the range of institutions throughout the UK and Ireland who kindly loaned Baroque works from their collections to the National Gallery exhibition.